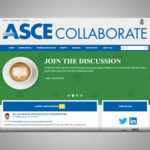 ASCE Headquarters hosted the 50K Coalition Workshop earlier this year. It all started in a small ASCE Student Chapter office on the top floor of the engineering building at Howard University. Kim Parker Brown, P.E., M.ASCE, joined both ASCE and the National Society of Black Engineers as an undergraduate and those connections helped jump start her career. 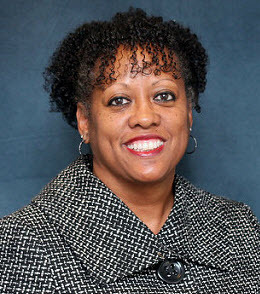 Brown eventually rose to the office of secretary of the ASCE Student Chapter at Howard and now works as a program manager and senior environmental engineer for the Naval Facilities Engineering Command Headquarters. Her career has intersected both societies, from her student days to a variety of roles in ASCE leadership. 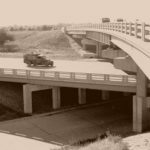 With an agreement between the societies to offer reciprocal membership discounts that has just taken effect, civil engineers and those in training can reap the same kinds of benefits that Brown has gained from her concurrent memberships. 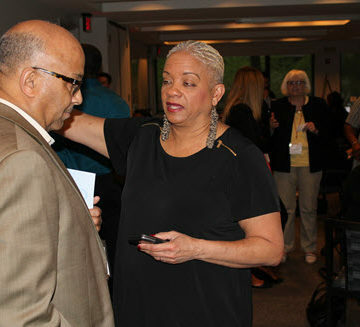 Inspired in part by her Howard professors, Robert Evans and Robert Efimba, Ph.D., both former Region 2 Governors, along with former ASCE President Delon Hampton, Ph.D., NAE, Pres.00.ASCE, Brown joined the National Capital Section after graduation. In 1998, she became the first African-American woman to serve as Section president. Brown followed that with a term as Region 2 Governor, and more recently she has chaired the ASCE Committee on Diversity and Inclusion. 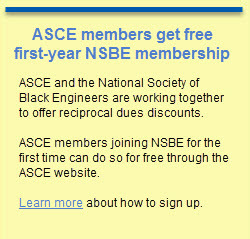 Brown and CDI helped develop a memorandum of understanding between ASCE and NSBE last year. The MOU includes many initiatives, including coordination of the popular “Conversations with Civil Engineers” events during the last three years at NSBE’s annual convention. It’s a way to reach students and young engineers, as well as get members of both organizations working together in the same room. “The partnership has been really great and seems to promote more diversity in the civil engineering profession,” said Brown, a recipient of the NSBE Golden Torch Award for Outstanding Woman in Technology in 2006. The NSBE’s Golden Torch Award program recognizes leadership among institutions, companies and individuals who excel academically, succeed professionally and positively affect the community. Brown noted NSBE’s ability to engage engineering students and made it a priority early in her career to do the same with students in ASCE. She now serves as the Howard Student Chapter practitioner adviser.